Poland or Galicia, c. 1820. On stylized square base with knobbed stem. 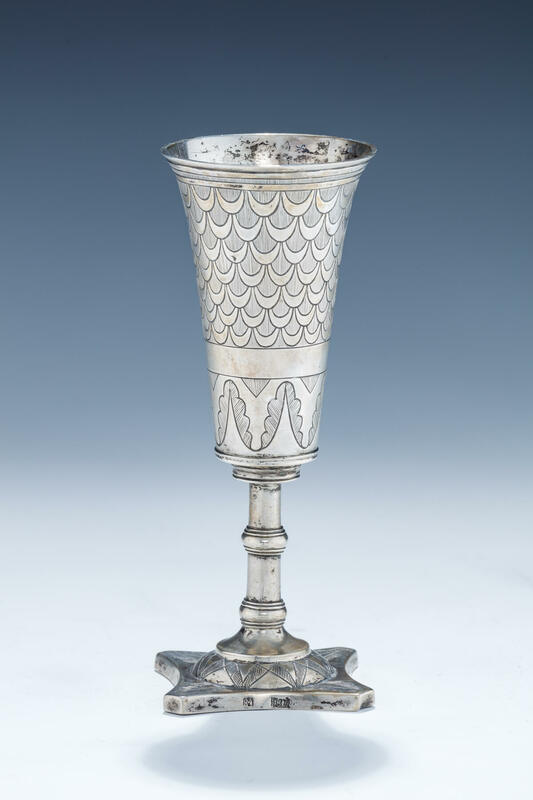 Upper fluted portion engraved with teardrop design. 6” tall.